The all important knife workshop which introduce the safety and fundamental use of knives & Fire Safety Workshop. Program of activities listed below. The first event for the coyote kids club and the coyotes will be a mandatory knife safety workshop on Friday morning. This will be run by Ian Cresswell from Lonescout Bushcraft. The knife safety is run each morning so if you miss one, just like buses, there will be another along. Some of the other classes can only run at certain capacities not only for safety but to make sure those attending get a full learning experience. This means that your child may not always be able to attend the exact class you want them to do sometimes. 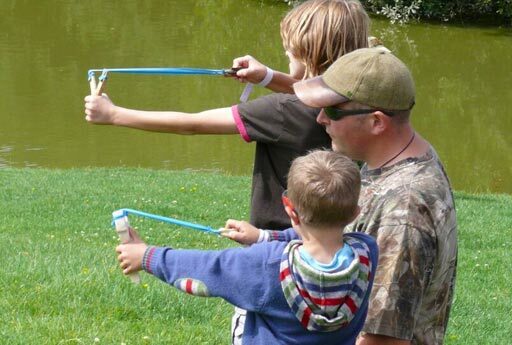 We strive to keep as many activities rolling throughout the weekend for the younger bushcrafters with the den building, various archery and axe throwing stands and there is always something happening at the Wilderness Gathering Drop-in stand. There is a wealth of demonstrators on site who will gladly share skills and knowledge and answer questions patiently and there is always the swing park too. 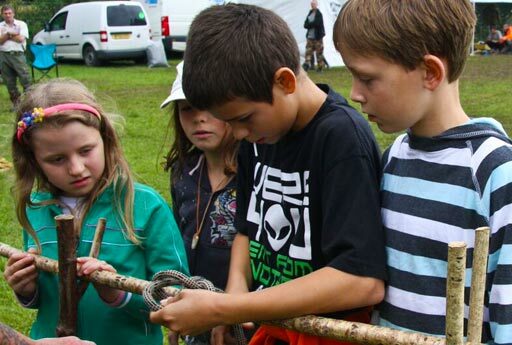 The Coyotes is run by Ian Cresswell from Lonescout Bushcraft, he brings his infectious enthusiasm to share with the young bushcrafters that choose to join him over the weekend. He will be ably assisted for 2018 by Rowland Jones. "The feedback we received from the Coyotes over the weekend was excellent, as was the feedback from their parents. We have received just as positive feedback over the last few weeks, and word has gotten out even to people who weren't there!!" 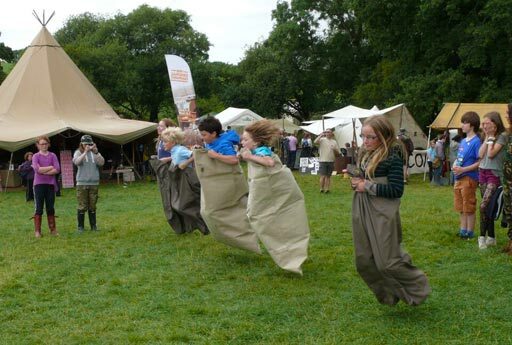 For the 2018 Gathering there is an exciting range of activities for 5 to 10 year olds. The Coyote Kids programme has been carefully designed to ensure that everyone can engage and achieve at a level appropriate to their age and ability and will be overseen by Steve Sutherland from Hidden Woods. With a background in event management and outdoor pursuits, in 2012 Steve founded Hidden Woods, a forest school and woodland activity centre located just 30 mins from the Gathering, between Bath and Warminster. A father of two young children himself, Steve is passionate about crea.